Something that every wanna be author often hears: Write the book you would like to read! I admit that it makes sense. But sometimes we just want to write the book we liked reading, as we would have written it… Makes sense? Given all the fan-fiction I see, it should make sense. The Book of the Seven Forbidden Wisdoms is not a fan-fiction though. Inspired by many things that have marked my imagination such as the role playing game “the Exalted” or anything written by Neil Gaiman, I observed (or rather spied on) the people around me and wrote their stories, of course tainted by magic and drama! 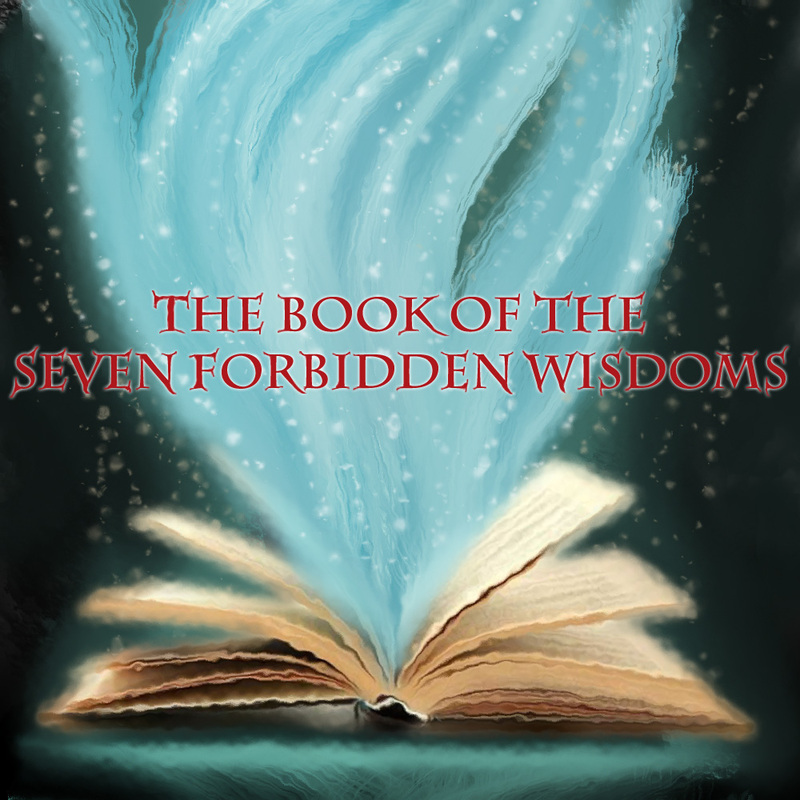 The Book of the Seven Forbidden Wisdoms gathers multiple short stories. Each story has its own plot scheme, a beginning and an end. But they are not stand-alone. They have recurring characters and an actual order of events. In this blog I will publish each of the chapters separately, although they should rather be read in order. But this is actually how it happens with a TV series, isn’t it? Each week you have a new episode and even if the show is on season 5 when you discover it, you start with the 1st episode of the 1st season. I hope you enjoy it! Please don’t hesitate to leave a comment, your opinion is truly valuable to me. And also, English is not my native language so if you spot errors please point them out (so that we can start an endless discussion on grammar, yay!). So short things long, let’s get to it! This entry was posted in About the book and tagged fantasy, fiction, magic realism, music. Bookmark the permalink. “You heard me.” Jason’s expression was now as cold as a tombstone. Cindy back into the aggressive state she had been in, just minutes ago.